The December 2011 – January 2012 issue of Race Play Michiana (RPM) is now available for download. Here’s a direct link to a downloadable PDF from the RPM website: LINK. Issue highlights from RPM Editor Jan Spalding: This issue includes a Fit for the Fit gift guide featuring stories from RPM retail advertisers and gift ideas from local stores, gyms and services. Also, Ann Amico Moran contributed a great story on Michiana’s Dynamic Duos — five area couples who workout and work for the community. Winter runs, cross-country skiing, a report from the PanAm Games, water intake and plenty more fill the issue. Yes and no. State laws make no distinction, but many cities and towns add restrictions, usually to protect pedestrians. I compared the laws of four area communities: Chicago, Elkhart, Mishawaka, and South Bend. South Bend has the most straight forward ordinance: “No person shall ride a bicycle upon a sidewalk within any business district.” Interestingly, it fails to define a ‘business district’. At least I couldn’t find a definition. Chicago has the same ‘business district’ restriction as South Bend, but adds some complexity. Adults (and children 12 years and older) can’t ride on any sidewalk anywhere. There are a few exceptions, and they will be so indicated with bicycle route signage. I just saw this posted over at Bike Commuters and thought it was worth sharing. 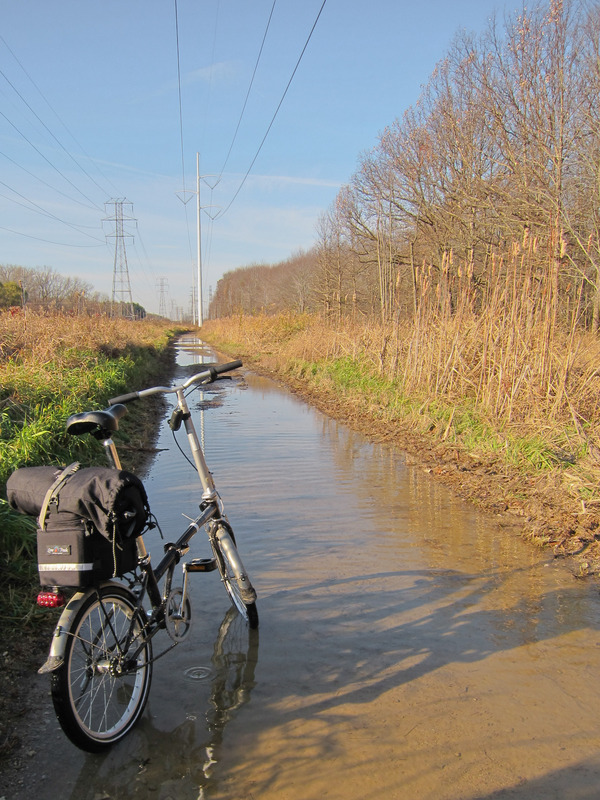 Despite being a fan of fenders, I’ve recently contemplated removing them from my Dahon Boardwalk S1 folding bicycle. Normally I don’t worry about weight for utility bikes, but to take the “monkey bike” on the South Shore not only must I fold it up, but usually I have to place it in the overhead luggage racks as well. At 31.5 pounds, however, this can be an unpleasant task on a moving train. Accordingly, I’ve been motivated to lighten the monkey bike, and I’ve been thinking about ditching the fenders. Yesterday, however, convinced me to seek other solutions. Purpose: Environment, Transportation, Bicycling, and Recreation are the winners. 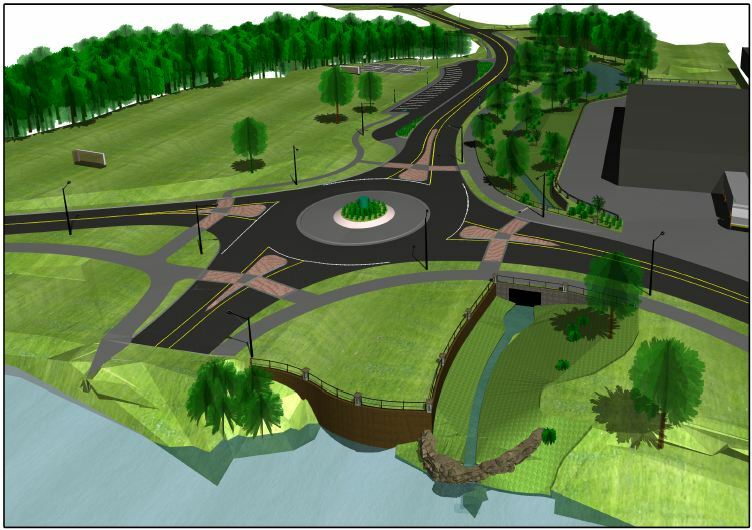 The event will mark the completion of Phase 1 of the Diamond Avenue Storm Sewer project and the official opening of the city’s newest and greenest roundabout. Those arriving by car will be able to park in the new off-street parking area at Brownfield Park which also received a number of upgrades during this project. 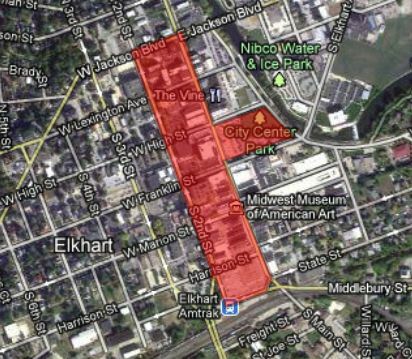 Please enter the area from the west – Portage/Angela or Woodward/Angela. Cyclists can simply arrive via either Riverside Trail, Angela, or the North Shore bike lanes. Bicycling advocates are hoping there will be a large contingent of cyclists on hand, which will increase cycling awareness.